This beach home was in need of some TLC to bring the joy back into the bathroom, balcony, front porch and backyard. 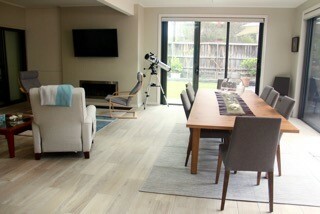 This home is situated close to the beach, you can hear the waves at night. 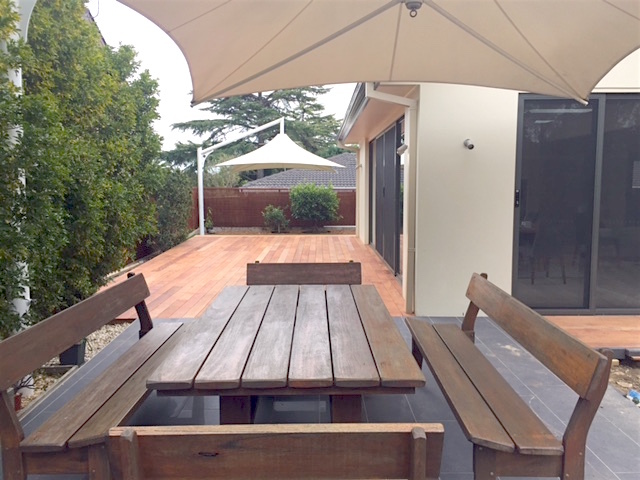 It is a home meant for outdoor living, so Able renovated cleverly. The home is now enjoyed by its residents, inside and out. 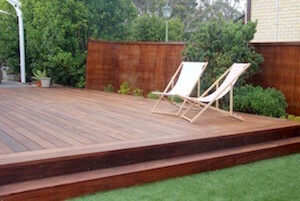 A timber hardwood raised deck with an elegant step. 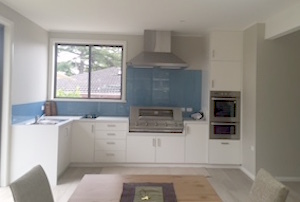 Custom joinery with colourback glass splashback opens up the kitchen area. 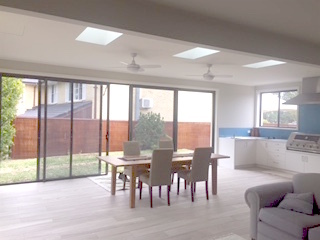 Smooth, sharp angled ceilings with skylight, and light timber flooring bring in the sunlight, making for a lighter, brighter room. 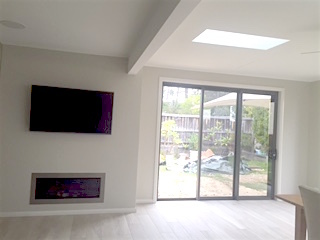 Featured skylights, an open dining and lounge area and the full width sliding glass doors create a seamless view from indoors to outdoors. The decking runs from the same height as the flooring indoors, creating a unified look and unhindered journey from indoors to out. 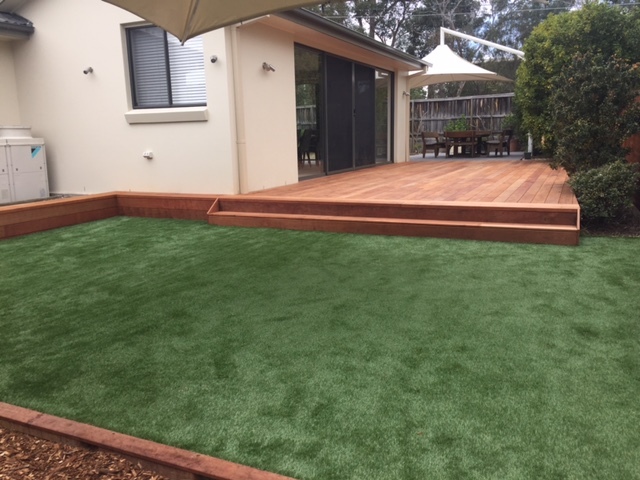 The raised deck frames a lush grass backyard.